A few of the great apps we've made! 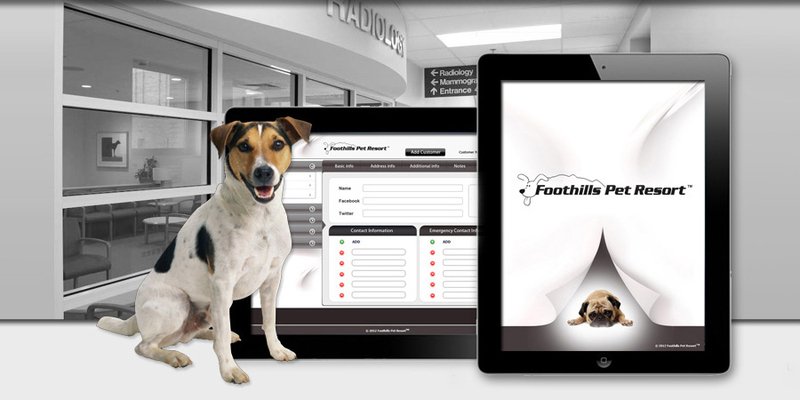 Approach Mobile was approached by Foothills Pet Resort in the the Fall of 2011 with a revolutionary idea of automating their entire business process and administrative functions through the powerful iPad tablet. We knew this project would require a custom tailored approach as it was an application that truly was the first of its kind and hadn't yet been attempted by any other hospital in the world! Right off the bat we knew how imperative it was that we not only develop a solution that was robust enough to handle all the necessary functions of the hospital but also compliant and safe from a security standpoint in order to ensure the clients of Foothills data was kept private and discrete. The solution that we put together was one of simple beauty. In the sense that it was not only safe and secure from the outset but was also very user friendly and at the same time offered the employees of Foothills an engaging and streamlined way to conduct their everyday administrative functions in a 21st century digital manner!